Cowbirds in Love: Stuff by Sanjay Kulkaček! 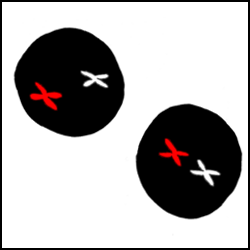 Cowbirds in Love was a daily updating webcomic that started in 2007. There's over 1700 comics in the archives. Some of them are very good! I plan on making a lot more comics! But I am excited about figuring out new ways of putting them on the internet, different from what I was doing. So it is technically accurate to say that Cowbirds in Love as we once knew it is on indefinite hiatus. 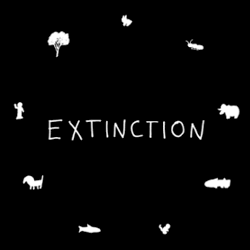 Extinction is a book I made of nine sad jokes about the loss of every organism on the planet. I'm hoping to translate the book to the web, so look forward to that. The Genetics of Twilight: An Earnest, Charitable, and Unauthorized Analysis is a 24 page comic analyzing interesting genetics implications of some facts presented in the last book of Stephenie Meyer's Twilight saga. The idea wouldn't leave me alone and, truthfully, I probably could have written a comic twice as long. You can order a copy of this exquisite tour de force here. 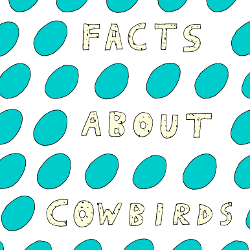 Facts about Cowbirds is the print version of one of my very tallest Cowbirds in Love comics. Did you know cowbirds are not just the patron bird of my comic career? They are also a fascinating ecological menace!